These delightful little Mexican donuts are not as difficult to make as you might think, and don’t even require a frier. Send me to the recipe! I have fond memories of the sopapilla. When I was a very young child, we lived in El Paso back in the 80’s and we would head to Old Mesilla, New Mexico quite often to stop at the famed restaurant, La Posta. I think La Posta even has a Michelin rating. Not bad for a little New Mex-Mex restaurant in kind of the middle of nowhere. Well, sort of. The La Posta complex has a history dating back to the 1800s, and was a major stop on the Butterfield Stagecoach route, a stage coach service that carried people and mail from Memphis and St. Louis to San Francisco in the mid 1800s. La Posta is single handedly responsible for my obsession with quesadillas and chili con queso, as well as my love for humble yet always delicious sopapilla. And spicy food. I will also go ahead and credit them with my love for spice, since I can’t remember when I first started enjoying the heat of spicy food. They also have a giant bird cage filled with exotic, tropical birds that I used to just go wild over as a small child. If you ever find yourself headed east of El Paso on I-10, La Posta is a must-stop. 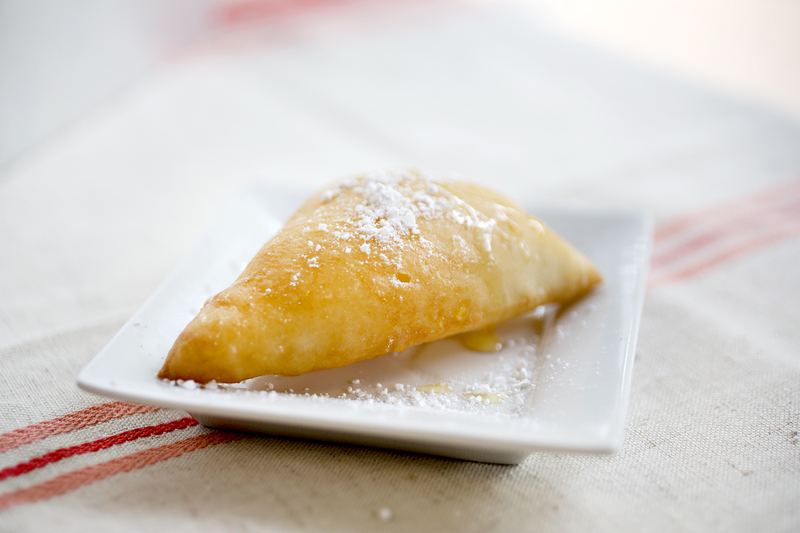 Similar to a beignet but easier to make, these fried pillows make an excellent little after-dinner nosh. If you keep them in a container, they even do okay next-day for breakfast (but keep them much longer than a day and they get stale). You can also stuff them with taco meat and toppings (recipe coming on stuffed sopapillas). This is my friend’s family recipe. You can use beignet mix, but then you’re making beignets. The main difference is in the leavening; beignets use yeast, sopapillas use baking soda. Blend flour, baking powder and salt. With a pastry cutter, cut in lard or shortening. Add milk all at once and mix dough quickly with a fork or by hand until the dough forms a mass. Knead and fold the dough a dozen times until dough is soft and no longer sticky. Cover dough and let rest for 15 minutes. Heat the oil to about 400. Divide the dough in 1/2 and cover one half. Roll out to about 1/8 inch thickness. Cut into rectangles or triangles. 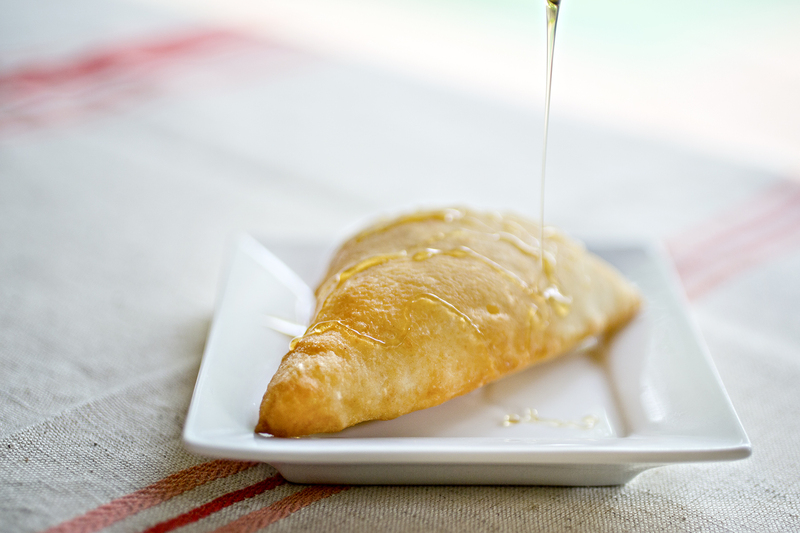 Submerge sopapillas in the hot oil and cook until they float and are starting to crisp, then flip and cook some more. (About 2 minutes per side.) Remove to a rack or paper towels to cool. Once you've cooked the first half, roll out the second half of the dough and repeat. Serve with honey, powdered sugar, or really any kind of topping you like. 1 Comment on "Side Snack of the month: Sopapillas"
Agreed. Nothing better than sopapillas and a cup of strong Mexican coffee!